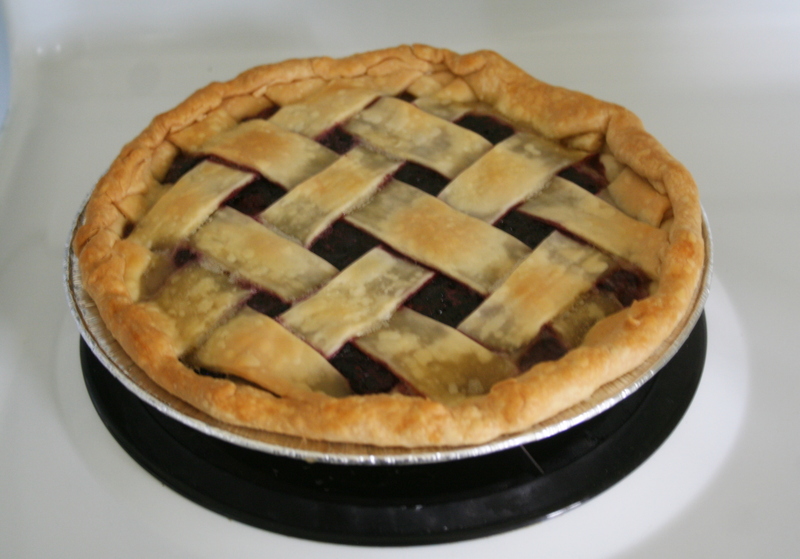 i have not baked a pie since i was a teenager and i was feeling pretty inspired when i made this one. 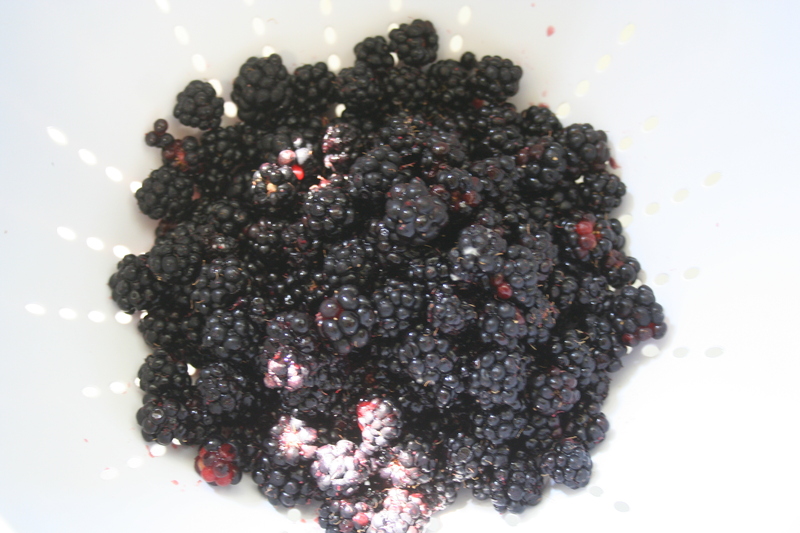 we were blessed to have a ton of blackberries growing behind our house when we moved in two years ago. i wasn’t cooking that much last summer and so we just dumped the berries on some ice cream. this year, it was time to do something new. here’s the recipe i used. 1) preheat oven to 425 degrees and then mix berries with the sugar and flour. spoon the mixture into an unbaked pie shell. 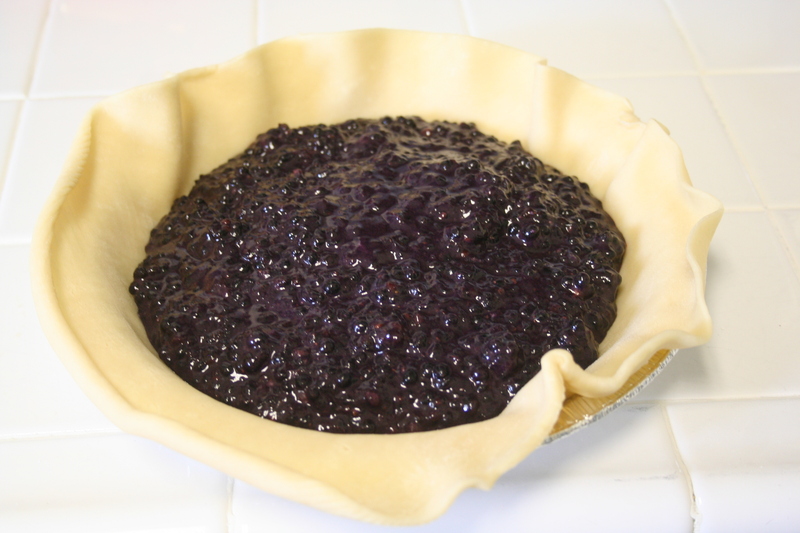 use your second pie crust to cover the berries. you can do a plain cover or strips like i did. 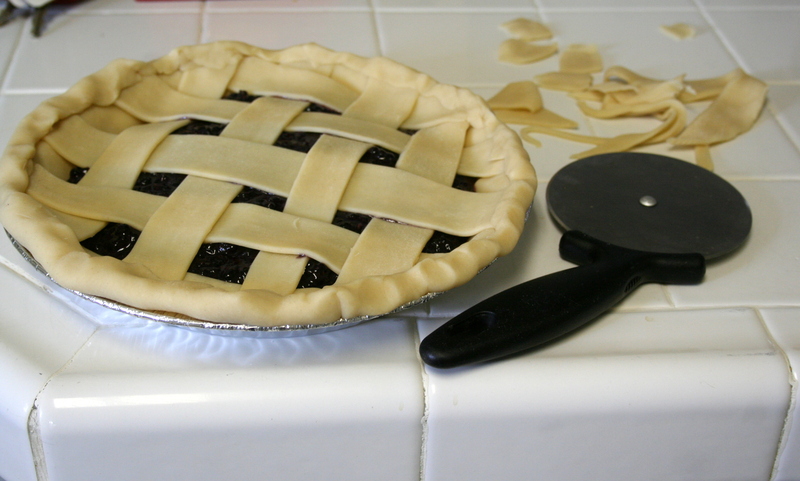 seal and crimp the edges, and if you went with a plain cover, cut vents in the top crust for steam to escape. 2) melt butter in the microwave and brush over the crust. 3) bake in the preheated oven for 15 minutes. reduce the temperature of the oven to 375 degrees and bake for an additional 20 to 25 minutes, or until the filling is bubbly and the crust is golden brown. cool on wire rack.